A mature Chardonnay from the cool climate district of Coonawarra. Aromas of white peach and melon with hints of flint and ‘struck match’ followed by a creamy yet graceful palate with white peach overturns. Very pure and giving, there is a beautiful vein of fine acidity which invigorates the palate. 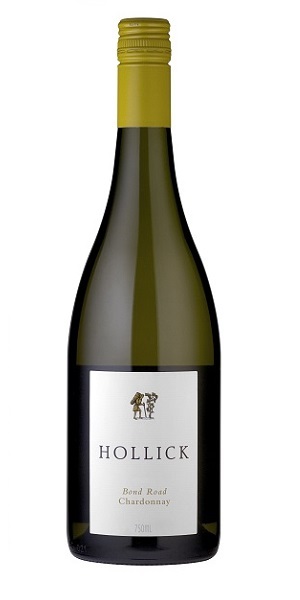 A superb Chardonnay which heralds from a single vineyard found just next to Bond Road on the Hollick estate. Enjoy it now, or over the next 5 years. Great served with grilled chicken or fish, or smoked cheddar cheese and crackers. string(28) "A wealth of style and choice"
string(513) "Possibly the most famous grape variety in the world, Chardonnay has found a home in pretty much every corner of the wine world. From crisp, flinty Chablis styles to full-bodied, oaky, rich Napa Valley Chardonnay it is a variety which has the ability to morph according to the climate or winemaking philosophy. It also has the capacity to produce amongst the greatest white wines in the world. Some praise indeed for this chameleon variety, the likes of which may only truly be matched by Riesling or Chenin Blanc."